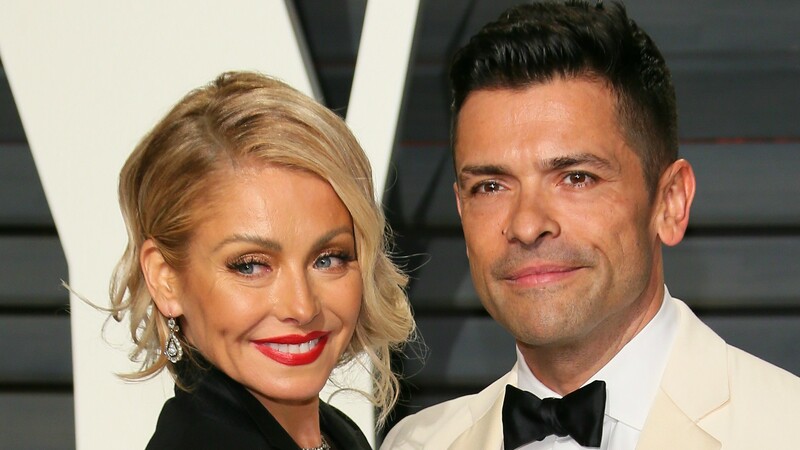 Kelly Ripa and Mark Consuelos are living proof that absence really does make the heart grow fonder, not that we would have thought these two could get any fonder of one another. While Ripa is filming Live! With Kelly and Ryan from the Bahamas during the week of Valentine’s Day, she shared the sweet way she stays in touch with her hubby with all those miles in between them: by FaceTiming each other while in bed. “FaceTiming with my man crush. (Yes in bed. Deal with it! )” she wrote alongside a screencap of the two of them having a little video chat (and looking way too good for being in bed) that she posted to Instagram. It’s not hard to imagine that Consuelos might be consumed with jealousy considering the fact he’s stuck in chilly New York City while his spouse gets to chill in paradise. But, he’s pushing through it and choosing instead to post hot snaps of his wifey and talking about how much he misses her. Seriously, these two — they’re too much! @kellyripa whatever you’re about to ask me, the answer is yes… Miss you Big Boo…. Photo Credit: @abtvhd…. These two have basically always been couple goals, and this just confirms it. They are so in love, it’s almost gross (but in a sweet way, really!). These days, though, Ripa is just kind of all-around life goals. She’s filming a week of Live! episodes from the Bahamas Atlantis Resort, which means doing things like riding a water trike, paddleboarding and doing yoga with dolphins, which is an activity I didn’t know existed but is now at the top of my bucket list. Keep on living the dream, Kelly Ripa.